Geir Jenssen's first album under the Biosphere moniker is a good first statement for this artist, but is entirely primitive ambient techno that gets tiring and overly repetitive. 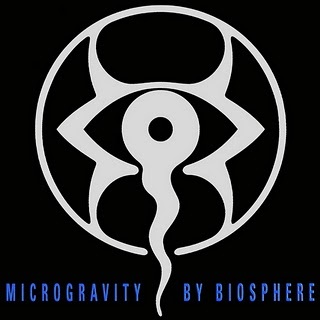 Microgravity is less atmospheric than its successor album but is still decently spacey sounding. Despite this, it is still very amateurish and leads to absolutely nowhere. Most of the tracks on this album are very subdued in the percussion department and really don't progress at all over their relatively long durations. Some songs are more interesting than others, however, which creates a small point of interest. "Tranquilizer" is comfortably bassy and has an array of upbeat tinny percussive elements that lead into a Nils Petter Molvaer sounding horn section. "Cloudwalker II" is a satellite-esque ambient synth track with a slow and resonating beat that sounds like it is emanating from the far-off distance, and is an obvious nod to the Berlin school practitioners that came decades before. The track "Biosphere" is a decently dark and moody ambient track that also shows some Berlin school influence (particularly Schulze) and follows are deep recurring spacey groan that sounds like fallout from some kind of cosmic war. Unfortunately, the vast majority of Microgravity sounds like the ambient techno and acid techno that dance clubs in the early '90s played constantly, which is embarrassing to say the least. But, in that respect, this isn't a bad album. Its only real problem is that it sounds very primitive and monotonous, though it captures a picture of popular electronic dance music in its own time quite well. As with the follow up album, fans of early Aphex Twin, AFX, and Monolake should be able to enjoy this album, but it is not a good representation of Biosphere's potential at all.